The Taiwan Visitors Association is a non-profit organization founded by the father of Taiwan tourism industry – Mr. Mi-jian Yiu, on November 29, 1956. Established for over 59 years, it is an all-rounded tourism association that looks after both the inbound and outbound market, and has the longest history and most complete structure among all travel related organizations in Taiwan. The Board of Directors made up of proprietors or representatives of non-government tourism organizations, airlines, hotel industry, amusement companies, etc. All 23 directors are volunteers without compensation, joining hands for the promotion of Taiwan tourism. The 500+ members are of representative units of the tourism industry, including tourism associations, foundations, aviation and transportation industry, travel agencies, tourism hotels, culture and recreational industry, ball fields/courts, food and restaurants, conference & exhibition service industry, crafts, gifts & general merchandise, broadcasting & advertising, IT industry, etc. Conduct promotional tourism activities, enhance international youth exchanges, promote overall economic development. 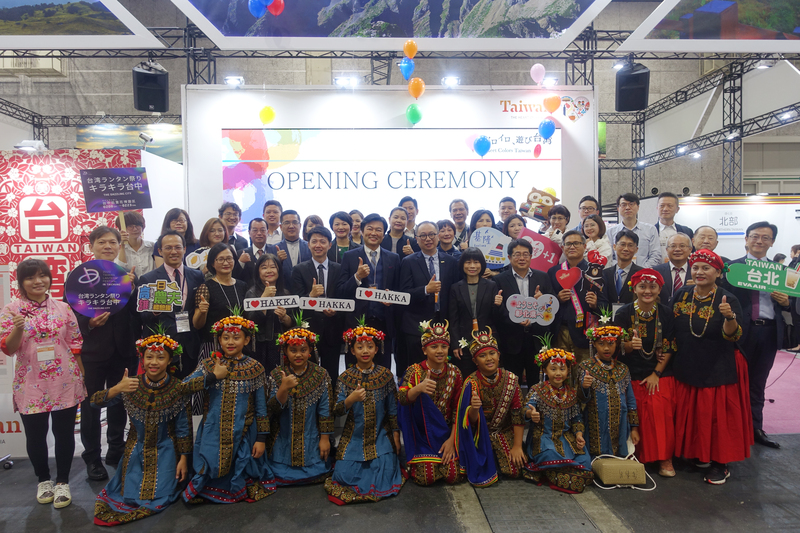 Host the Taipei International Travel Fair Exhibition; improve the services and quality of Taiwan tourism and food. Provide scholarship to nurture tourism talents and teachers. Assist local tourism organizations develop tourism business. Draft promotional tourism proposals for related units to refer and adopt. Accept government commission to establish oversea offices to strengthen tourist solicitations and related international exchanges. The Taiwan Visitors Association is already a member of various important oversea tourism associations, such as the PATA, ASTA and KATA. To promote inbound tourism market and attract tourists, groups of related tourism personages are formed to participate in oversea travel fairs every year, providing Taiwan the latest news and products of the travel industry to understand customer needs and travel market trends. Additionally, in cooperation with the Tourism Bureau on international promotions, oversea offices were established in Tokyo and Osaka, Japan; Seoul, Korea; New York, Los Angeles and San Francisco, U.S.; Frankfurt, Germany; Philippines; Kuala Lumpur, Malaysia; Hong Kong, etc. Since establishment, the Taiwan Visitors Association has received wide support and approval from the tourism industry, thus being able to smoothly promote business activities under mutual understanding and consensus across related industries. With selfless contributions from each member, and the combined efforts of the tourism industry, Taiwan Visitors Association was able to cultivate and grow to yield flourishing results on the development of Taiwan tourism.